I’m awaiting the last course of a sublime dim sum luncheon in one of Hong Kong's most elegant hotels. The menu lists a classic dessert, chilled mango custard. But suddenly, waiters appear and set down large covered glass bell jars, whose contents are shrouded by mysterious swirling clouds. As they whip off the lids with a flourish, huge geysers of white steam erupt a few feet into the air in several directions. 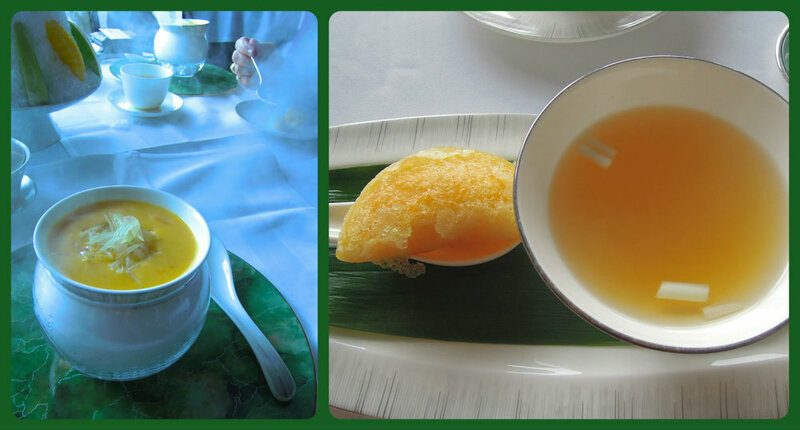 Thanks to the dry ice underneath the bowls of mango cream, this dramatic display is the finale for Yan Toh Heen’s succession of exquisite dim sum, served on solid jade place settings, at a table with a sweeping view of Victoria Harbor. Let me back up a little. I’m in Hong Kong for a week and have discovered to my delight that this vibrant metropolis is not only the birthplace of modern dim sum but also the hub of its evolving innovation. I set a goal to visit a range of dim sum spots and enjoy one of my favorite rituals--selecting eye-appealing tidbits from roving carts--knowing that I can only make the barest dent in a city that boasts scores of dim sum superstars (several of whom have won Michelin stars). One of these is executive Chef Lau Yiu Fai at the Intercontinental Hotel; his restaurant, Yan Toh Heen, was awarded two Michelin Stars. After one bite of his first course, a crispy lobster dumpling, paired with a deeply-flavored supreme broth, it was clear I was in for a masterful meal. "The master chef was very strict and seldom taught us anything. You just had to figure it out on your own. Now it’s totally different and we do teach our apprentices. There are 20 chefs who work with me and I’m friendly with them. 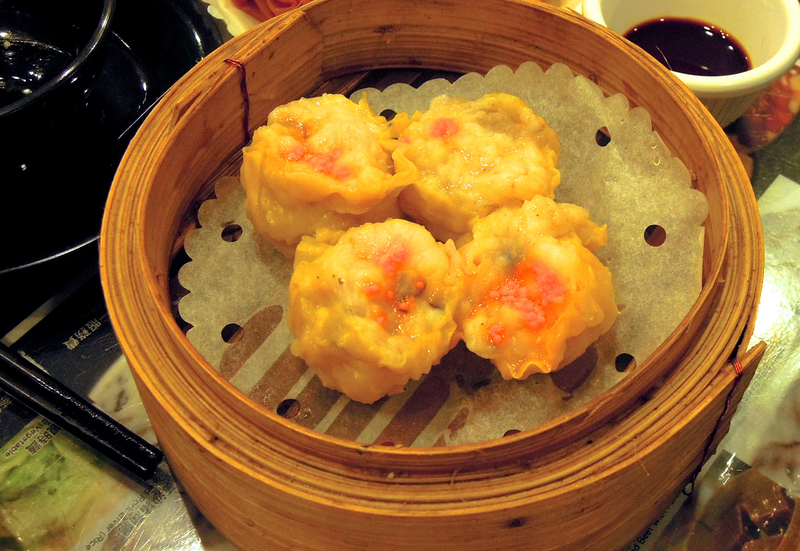 Of course, they have to begin with the basics, like shu mai and har gow. It may be boring, but people still request those traditional dishes, so you need to master them." A happy accident brought me to my next dim sum restaurant, while visiting Hong Kong Park for a bit of greenery to offset the overwhelming forest of shiny skyscrapers that dominate the skyline. After exploring a museum devoted to tea ware, I discovered a quaint tea room in the neighboring building. The menu featured more than 100 teas and an all-vegetarian array of dim sum. To offset the humid weather, I ordered white peony tea, a cooling winter melon roll and a cold salad of organic black and snow fungus with mushrooms. 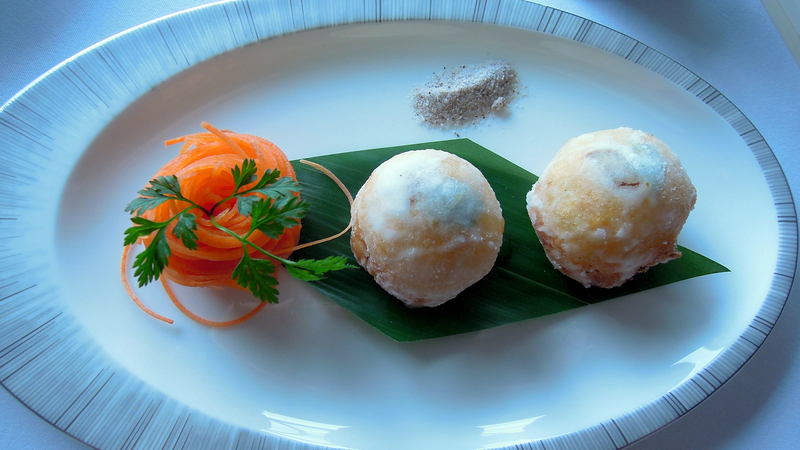 But I couldn't resist a warm and wonderful dessert: dumplings filled with black sesame seed paste in sweet syrup. Another morning, I searched for a dim sum restaurant to take my husband to on the only free day he had during his week of teaching. With the help of Open Rice (the Hong Kong equivalent of a Foodie Yelp) I found one near our hotel in the bustling Wan Chai neighborhood, but I was a little hesitant since it seemed to be part of a chain, with other locations scattered throughout Hong Kong, Mainland China, Singapore, and Macau. I needn't have worried. Lei Gardens' dining room was packed with locals and the food was fresh, hot and tasty. Our delicate chicken and chive dumplings were wrapped in translucent skins and the petite taro puffs almost burned our mouths. Then it struck me that in these three restaurants I had not yet glimpsed the familiar carts stacked with bamboo steamer baskets that roamed my favorite Bay Area dim sum spots: San Francisco's Yank Sing, Alameda's East Ocean or Oakland's Peony. In Hong Kong, one ordered by checking off a paper menu. I wondered if this was a hallmark of Hong Kong dim sum culture and endeavored to find out. Later in the week, I joined an excellent food tour* which meandered through the Central and Sheung Wan Districts, and included tastes at six family-run food or drink establishments. In a cozy corner cafe in an artsy district, over pork and shrimp dumplings and baked BBQ pork buns with distinctive toasted tops, our knowledgeable guide shared the history of dim sum and eventually revealed the reasons none of the places I visited featured those familiar roving carts. Dim sum, also known as yum cha (literally to 'drink tea') probably originated thousands of years ago, in the teahouses that sprang up along China's Silk Road as rest stops for weary travelers. Our guide pointed to the black and white poster on the wall, explaining that it depicted typical Hong Kong dim sum in the last century. 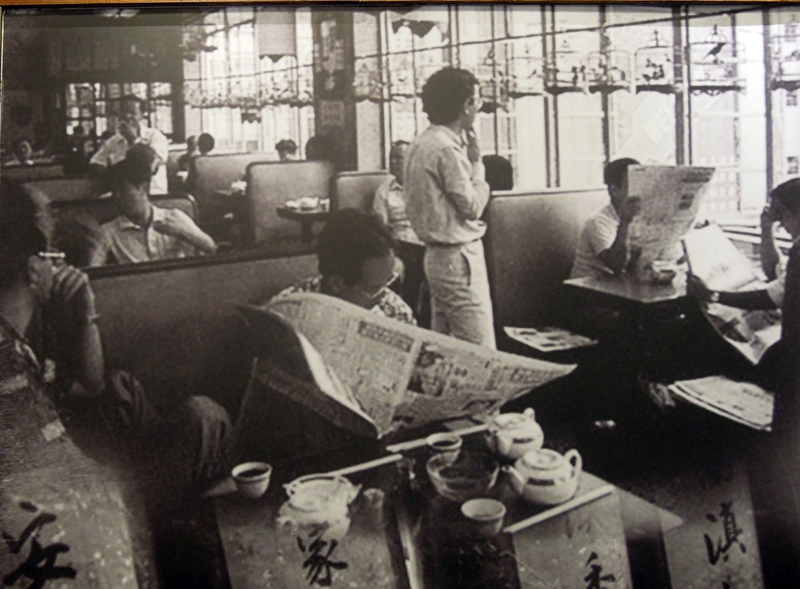 Men would frequent modest teahouses to read the newspaper, while enjoying a few snacks with their tea. The line of hanging bird cages above the restaurant booths was connected to a long tradition of men caring for pet birds, which included taking them for daily outings. (The Avian Flu outbreak in 1997 likely shut the door on bringing birdcages into eating establishments.) 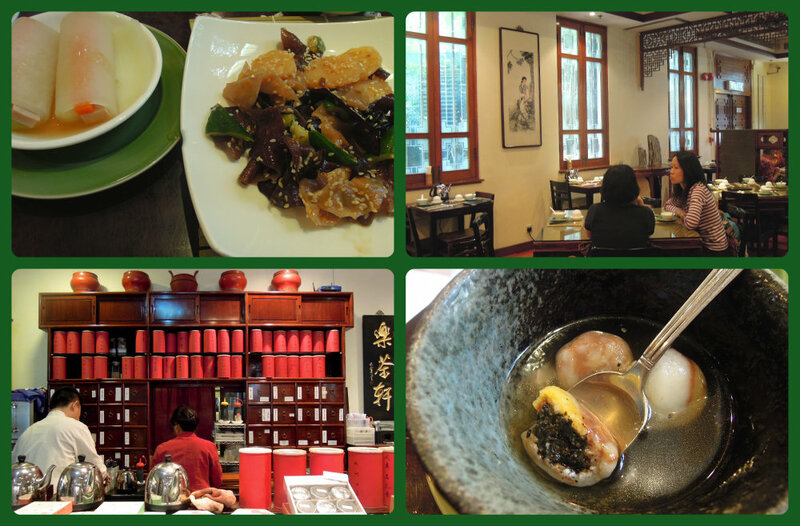 And teahouses competed for clients by adding more innovative food choices. My tour guide also described the goal that all dim sum should achieve: a semi-transparent dumpling wrapper called "crystal skin," in essence, a delicate cloud that delivers the savory contents to your mouth. 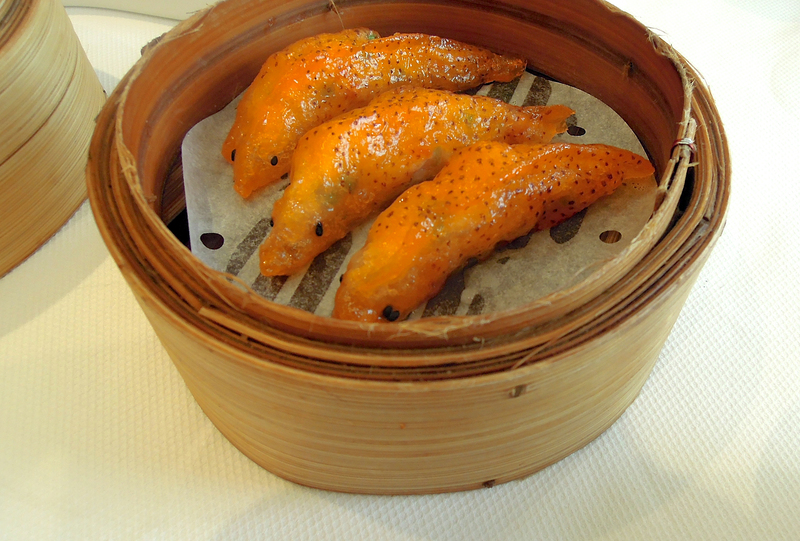 This is an ideal by which Hong Kong dim sum is often judged. On my last day in Hong Kong, a new friend invited me for a farewell dim sum meal at Serenade, a lovely restaurant in the Hong Kong Cultural Center. Serenade not only boasted a harbor view, but cute dim sum as well -- in the shape of bunnies, goldfish, hedgehogs and squid. 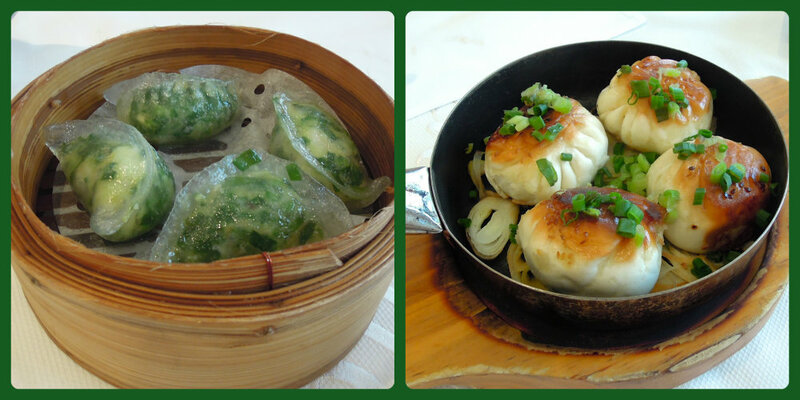 The restaurant's more traditional dishes again featured dumplings with translucent skin. Back home, just as I was starting to miss Hong Kong's innovative dim sum, with its parade of culinary surprises, I received a copy of Michael Bauer's Top 100 Bay Area Restaurants 2015. As soon as I read about Hong Kong Lounge II, I grabbed my husband and we rushed to the cozy space on Geary Boulevard and our taste buds were transported. No carts, but fresh, hot dumplings, stuffed eggplant and those delectable baked pork buns with the toasted tops that I had fallen in love with. We had found the next best thing to sitting at a table with a harbor view in enchanting Hong Kong.